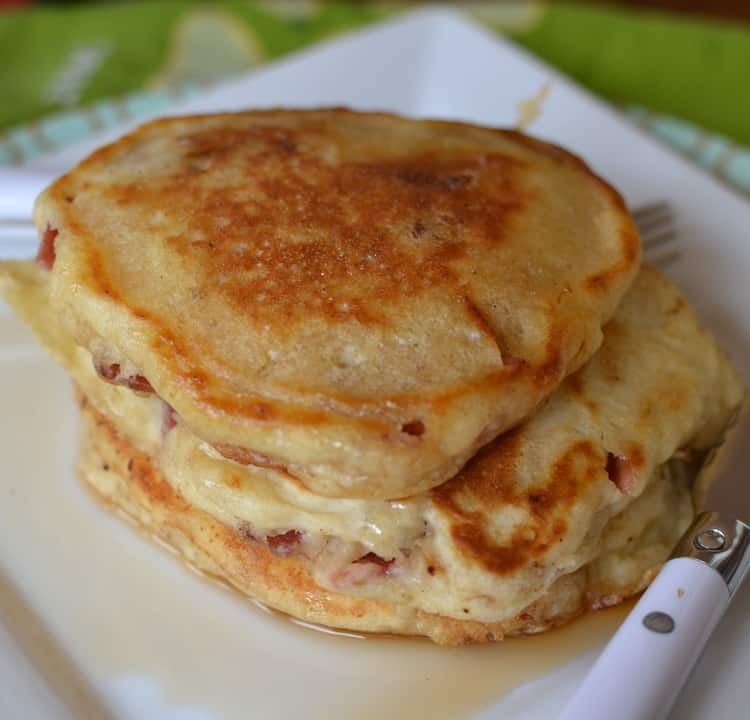 Theres something about Bacon that makes things just a little bit better. This recipe turned out amazing! My kids want it all the time now! Fantastic! I am so glad that they like it! I love bacon too! These are amazing!! That crispy top… so good!! 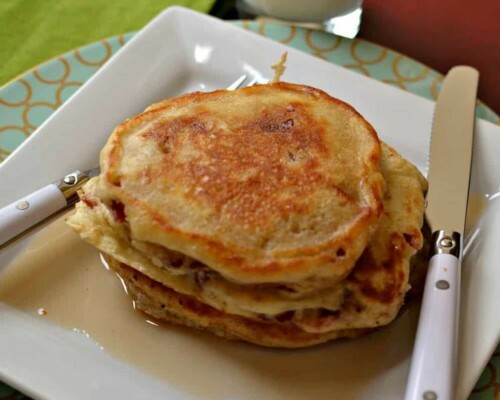 The buttermilk makes these pancakes so light and fluffy. And the bacon! YUM!!! Oh my goodness!!! 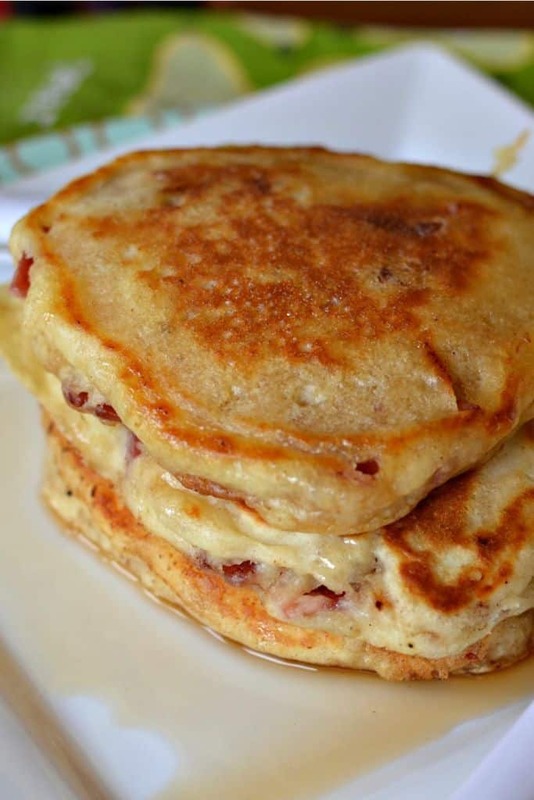 I may need these for breakfast tomorrow. 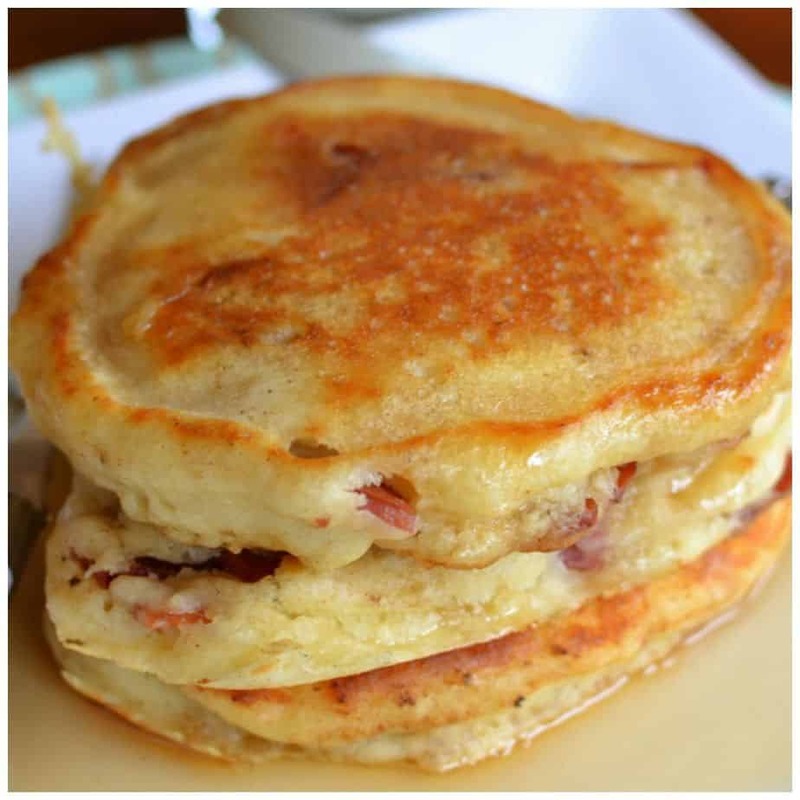 I’ve never added bacon to my pancakes…must try ASAP! Yum!